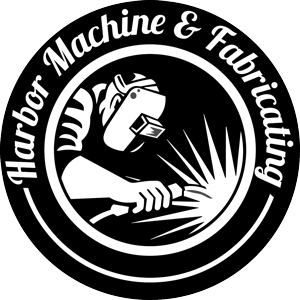 Harbor Machine and Fabrication is proud of their work. If you need something made, whether onsite or in our shop, we can make it for you. We’ve worked on both large and small tasks and can engineer, plan, and fabricate your custom product. No matter the size, shape, or material, we can design something to your specifications. Harbor Machine and Fabricating is proud to suppy beams and columns. If you need a beam for your ceiling or floor support, we are proud to help. We have a a strong portfolio of completed projects and will work with you to complete your columns and beams to the specifications required. Cutting steel can be very dangerous. With our years of experience, we can safely cut steel to your requirements. We also provide steel rolling and forming. We provide rolled steel for tubing, piping, and channels. Take a look at our Portfolio for more images and information about past projects. We have built a reputation in the Aberdeen and Hoquiam area for our continual attention to detail. This is no different when it comes to our customized drive lines and driveshafts. We take extreme care when it comes to selecting materials and the craftsmanship that goes into construction. No matter the size, material, or function of the product you need machined; we are happy to help. With decades of experience, our highly qualified team with help to build what you need to complete your project. We will supply you quality, custom machining at a competitive cost. Question about a job you need done? Contact us today! When it comes to metal yard art, we want to bring your vision to life. Our owner, John Koski never ceases to amaze us with his creativity when it comes to creating and developing yard art that will withstand the test of time and the test of weather (even Pacific Northwest weather). So whether you want metal flowers, an owl, or even a custom metal sign, let’s get started today! When it comes to catwalks, we can offer standard or custom designs. They are available in stainless steel, aluminum, or steel construction. We can also easily integrate ladders, railings, and gates. We also engineer and fabricate them to be very durable. Catwalks can be hung on the ceiling, floor or adjacent structure supported.